Our 70% dark chocolate buttons are packed with a kiss of ginger. 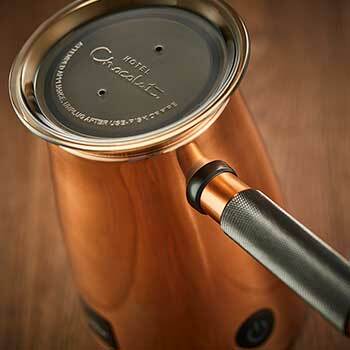 The bite-size chocolate button is the best way to appreciate such a smooth dark chocolate and ginger taste. Our bite-sized puddles are the best way to appreciate the warming combination of smooth dark chocolate and spicy ginger. Their shape is inspired by the way chocolatiers taste chocolate, by allowing molten chocolate to cool into natural puddles on their marble-topped tables. 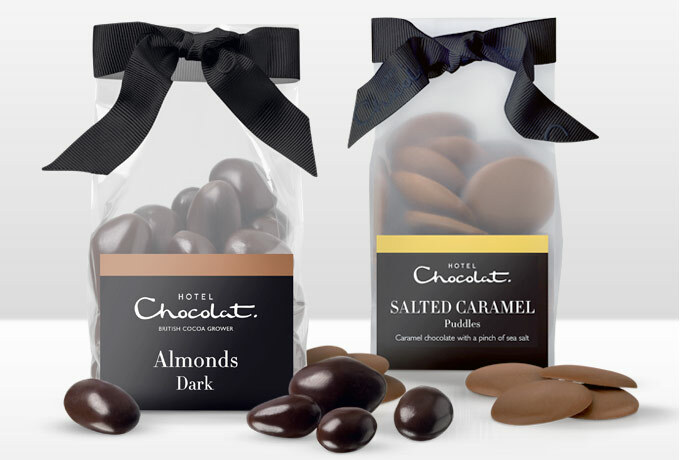 Each bag is finished with a hand-tied Hotel Chocolat ribbon, making them perfect as a thoughtful gift or a treat for yourself. Ingredients: cocoa solids (cocoa mass, cocoa butter), sugar, emulsifier (SOYA lecithin), natural flavour (vanilla), ginger powder, essential oil (ginger).